In the 48th Paeksang Arts Awards held at Olympic Park, Seoul on April 26th, 2012, the member of pop girl band miss A, Suzy, lived up to expectation to win the Best New Actress Award through the movie “Architecture 101”. In 2011, Suzy won the Newcomer Award in KBS Drama Awards through TV drama series “Dream High”, and also won the Newcomer Award as the singer in Mnet Asian Music Awards (MAMA). As such, Suzy who won the Newcomer Award consecutively in categories of music, drama and movie, setting the record of three successive Newcomer Award. 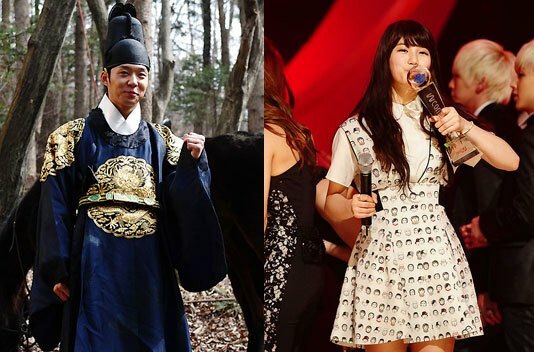 JYP tweeted to encourage her, “Suzy, three successive Newcomer Award is the first time in Korean history. You still have not demonstrated one tenth of your possessed charm, so continue to work hard in future.” As JYP said, the three consecutive Newcomer Awards are very impressive results, and Suzy has only just begun. Suzy is both a potential actress and also a pop idol. Born in 1994, the young girl under the age of 20, setting a new record in the history of Korean pop culture. The idol singer, who was acting as a lovely and beautiful idol to debut in music scene as member of miss A, challenges the acting for the first time. When just staring to get involved in acting, the pronunciation and acting strength of Suzy had been subjected to doubt from the audience, but she was unmoved, and always down-to-earth strove to improve herself. But currently Suzy is not perfect. In the movie “Architecture 101”, she didn’t show superb acting, she also did not become a top singer through activities in miss A. However, the most worthy of praise on Suzy is as what JYP said, she does not yet show 10% of her own charm and ability. That is, her path just began. If she could put unremitting efforts day and night like now, and ultimately she would be be able to realize her dreams.